Can You Sell Elephant Ivory in the USA? The ivory trade is perhaps the most well-known wildlife problem in recent history, which has led to the endangerment of species. This is particularly true for elephants that have long been hunted for ivory tusks, bone, and skin. 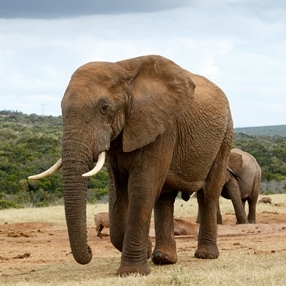 For example, did you know that Tanzania lost more than 70% of its elephants in just 6 years? Such a situation resulted in many bans and restrictions that eventually made the international elephant ivory trade illegal. Moreover, many countries have also banned domestic elephant ivory sales. Thus, they were completely banned by the United States government in 2016, and at the end of 2017, China closed its legal elephant ivory market too. However, it is not the case for the trade of the mammoth ivory, which is allowed in most countries. The only problem is that many people simply do not know the difference between the mammoth and elephant ivory, which can lead to the illegal transportation of this valuable material and various items made of it. Thereby, it is very important to deal with only professional shippers of fine art, who know everything about moving and shipping ivory. The next question is, how does the elephant ivory ban impact collectors and dealers? First of all, it is important to note that if you already have elephant ivory or any objects made of it, owning them is not considered illegal. The same applies to passing any of these items on to your heirs. Along with that, the situation with selling elephant ivory is much more complicated, no matter whether it is related to estate liquidation or business. Thus, while selling elephant ivory is now prohibited in the United States, there are still several exceptions. For example, different antiques (e.g., jewelry, netsukes, and scrimshaw), which are, at least, one hundred years old, can be sold if the owner can prove the age of the artifact. Besides, different musical instruments, furniture pieces, firearms, and other objects with ivory embellishments and inlays containing fewer than 200 grams of elephant ivory are also exempt. As you can see, there are still many nuances related to the sale of elephant ivory in the United States, so if you do not want to risk, it is better to consult an experienced company specializing in moving fine art. Fine Art Shippers is always the right choice for this job! Moreover, all our services are very reasonably priced. Please feel free to contact our specialists for any information you need or request a shipping quote by filling in our special form!